With Thanksgiving almost here and Christmas right around the corner, it seems like the perfect time to talk about gifts for men! 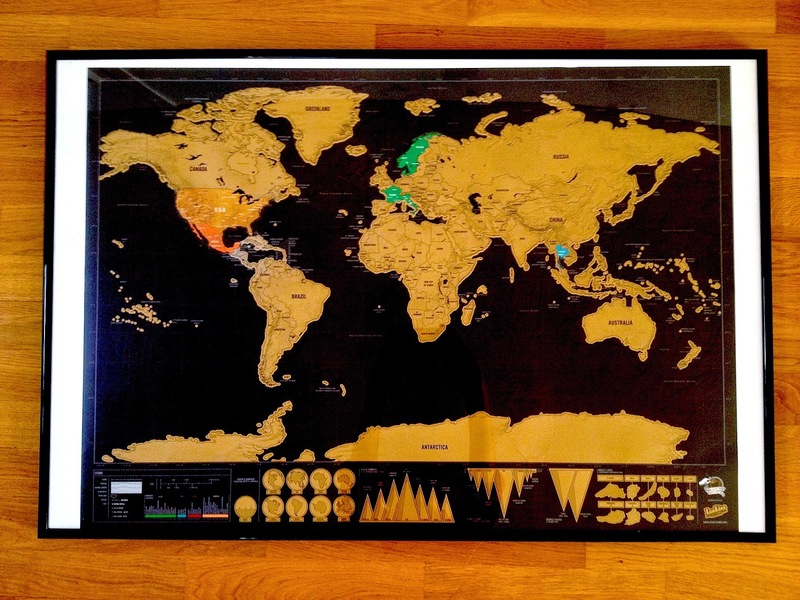 The first gift on my list is one that can be meaningful in many ways: a scratch-off travel map. I have already purchased this for Nick, and he claims it is one of his all-time favorite gifts ever. If you are giving this to the traveler you love, it can be one of many things: places you have been together, places he has been, or even places that you both have been and future destinations. Whatever the case, this scratch off travel map will be sure to please! The second item is a sturdy carry-on suitcase. This suitcase may be (and, probably is!) too small for most women- but for men, it is perfect. 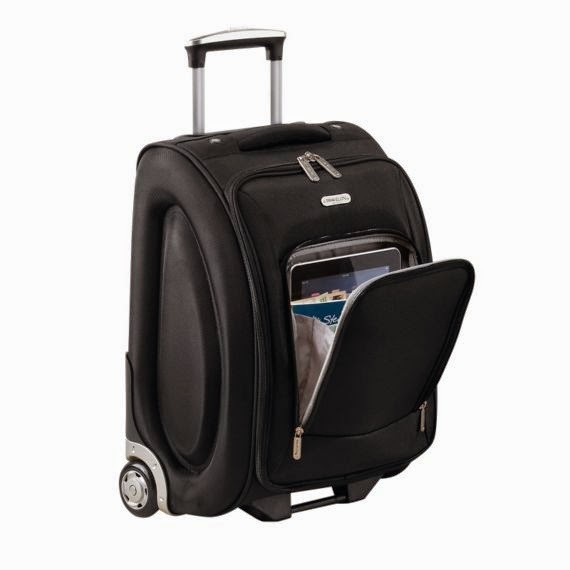 The bag will fit under your airplane seat, and also has a separate frontal compartment for your laptop or iPad. With this, you won't have to worry about the hassle of removing electronics from your bag- as they are in their own compartment, no worries! iPhone Power Bank…Give the traveler you love a little boost of power, anytime they need it! Power banks usually give you at least a few hours of extra battery life, if not an entire day. No matter what, the banks are easy to pack in your bag and take with on your travels, guaranteeing you connectivity, whether you need it for photos, maps, or communication! 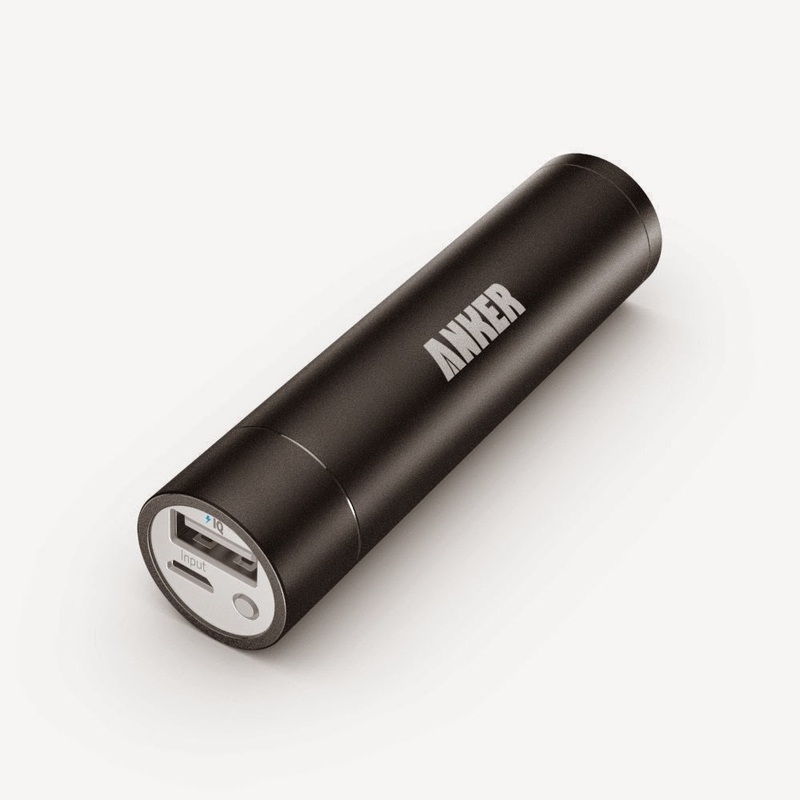 The highest ranked on Amazon now: Anker. Noise-cancelling headphones are another great gift for men who travel. The most popular and top-of-the-line are Bose Noise Cancelling Headphones. 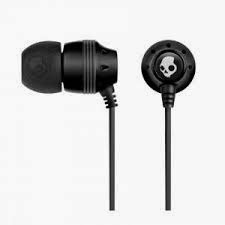 However, if the retail price is a little high, personally I purchase Skullcandy headphones for both Nick and I, which work great for what we need! 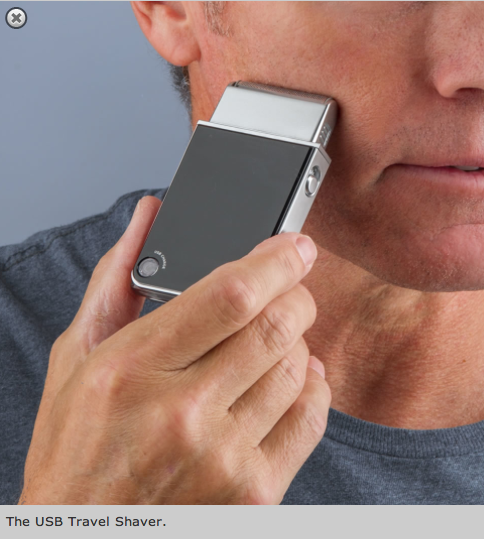 This USB Travel Shaver is another great option for a guy who frequently travels. It is easily portable, as it is smaller then a smartphone and charges with a USB cord. This is the perfect gift for a guy on the go! There isn't much that is worse than arriving to your travel destination and discovering wrinkly clothes from being packed away. Fortunately, with this portable steamer, the problem is now solved! Of course, wrinkle-free shirts are always a possibility, but even those may come away with a wrinkle or two. The last item on my list today is this compact, portable down jacket. When traveling towards cold weather, it is often difficult to pack warm clothes. 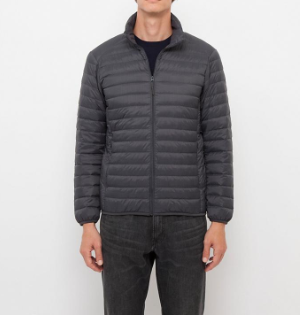 Fortunately, this jacket stuffs into a small pouch, taking up a minimal amount of room and allowing your traveler plenty of space for other items. So there you have it with 7 great gift ideas for guys who frequently travel! When you are traveling, what is your number one must-have item? The portable phone charger is so important. I never leave home without mine. It's definitely the best purchase I have ever made. Portable phone charger is a must for my husband and I as well, especially while traveling! i could use that electric shaver.. mine is terrible.. The iPhone power bank!!! Those are a must for sure. I can deal with lots of things, but not a dead phone! Jenni, I'm with you! The worst thing that can happen while traveling is a dead phone/camera. Carmen Perez: All great gifts. My husband could really use that luggage piece for his business trips! And I love the portable steamer too! You should look into it for your husband if he travels a lot! These are all great ideas. Fiona, I got the map for my husband for our anniversary and we love it! I would definitely add it to your list of travel presents. Great idea! Anybody who loves to travel would enjoy these gifts. Jeanine, if you start traveling more you'll have to look into getting it for your husband! A sturdy carry on is a great gift! If you have a quality carry on, sometimes you can even avoid having to check luggage! Pam, I try to never check luggage if possible. It makes traveling so much easier! I gave my daughter a new carry on for her birthday and she loved it. The down jacket is a good item to bring when traveling. Kelly, I bet your daughter loved it! Good luggage is always great for anybody who travels. I need some new carryon luggage. Mine's old and totally falling apart!! Lisa, I feel you on that. Mine had been getting old but I actually received a new Cary on for Christmas! The scratch-off travel map is such a neat idea. I also think the steamer would come in super handy. Thanks Lix! I gave my husband the travel map for our anniversary in September. I gotta have that scratch-off travel map! It’s such a nice piece for my room! Elizabeth, the travel map is so great to remember everywhere you have been! What great items to share and thanks so much. We all do a lot of traveling over the holidays and I will keep these gift ideas in mind for next Christmas. I did buy several portable chargers for gifts this year. You. Definitely should! These gifts are great for anyone who loves to travel. I love the design of that suitcase. The usb shaver is absolutely genius. How practical. My friend got a scratch off map! She said it was the best present she had received in a long time. IT's a good one! My husband totally needs that iphone power bank - what an awesome idea. My husbands birthday is coming up soon. I am really considering that iPhone batter. We do have car chargers and wall chargers here at home, but he works in a hospital. With those 12 hour shifts, he can often have battery loss. I think this would be a nice gift for him. Those are great ideas! My must have item is always my phone, but other than that my camera! I would love the charger! Those are some really great gifts for men who like to travel! I know a few people who would totally love these! Great gift ideas, you have a great list. The iphone charger would be great for my husband! Great ideas for those men on the go. I love the USB Travel shaver. This makes sure he's good to go no matter what. Gosh I have to think about this since my man tends to do travel. I like that bag though.. seems nice and useful. Such great gifts and men are so hard to shop for. I know with my husband I can never find the right thing to get him. These sound like some really great gift ideas! I love the noise canceling headphones. Those are awesome and unique gift list ideas for travel. 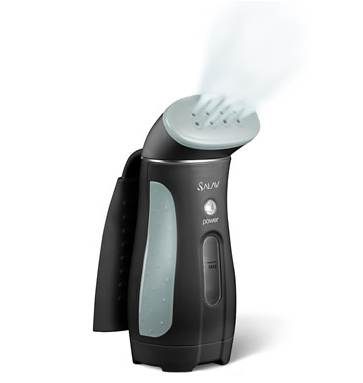 I like the portable steamer, it is very handy and easy to pack. Very nice blog about Travel Gift Ideas. Recently I bought a Scratch Off Map from an Amazon Store. This is really awesome product.